Last week, Adobe made a big announcement that directly affected a wide range of photographers—from professionals to passionate hobbyists—who use Lightroom. Adobe retired the stand-alone Lightroom, which means version 6 is the last of its kind. All support and updates will be terminated by the end of 2017. They renamed the current desktop version of Lightroom CC to Lightroom Classic CC. Adobe, at least somewhat, addressed the performance of the desktop version of Lightroom and added a new useful feature. 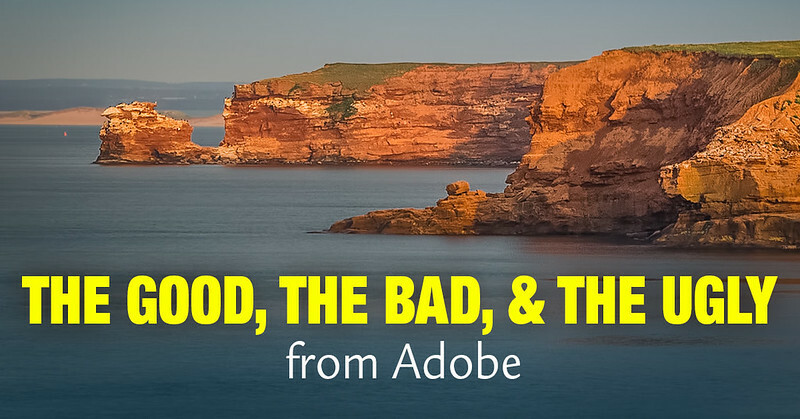 I had time to think about Adobe’s new development over the weekend and took time to read a handful of articles and watch numerous videos on the topic. I also installed the new Lightroom CC and upgraded my desktop version to Lightroom Classic. Now, I am ready to give you my opinion and a prediction into where I believe Adobe is heading. Before you start, watch the video below to learn how Adobe makes a distinction between Lightroom CC and Lightroom Classic. Adobe killed the stand alone, desktop version of Lightroom. I do not think anyone is surprised by this move as the writing has been on the wall for some time. Lightroom 6 has not been updated with new features for years and, when Adobe announced record profits this year, it was evident that they found a more profitable business model than traditional licensing software. This move will upset many Lightroom users who are hobbyist rather than professional photographers. Why? Most professional photographers moved to the subscription-based model a long time ago because it is more cost effective as a predictable business expense. $10 per month for Lightroom and Photoshop or $50 per month for the entire Adobe suite makes it much more cost effective to run a creative business today than a decade ago when the cost of software was prohibitive to starting a business. Years ago, Photoshop cost $1,000 and more than 50% of users pirated the software to save money. The businesses to cut software costs often skipped one or even two versions of Photoshop, which immensely frustrated designers and photographers alike. The model did not work for anyone—Adobe was losing money and the end-users could not afford to buy the software. With the subscription model, Adobe’s products are affordable and the company makes a ton of money. The way I see it—it is a win-win for everyone. But, I also understand people who do not like the subscription model. That’s why I have included my recommendation at the end of the article for photographers who are looking for Lightroom alternatives that are not subscription-based. When I learned that Adobe released a new version of a cloud-based Lightroom, I welcomed the update. I assumed that I could use it in combination with the desktop version for quick edits on the road and culling. But, after installing and playing with the new Lightroom CC, I realized that it is a half-finished product. It is a stripped-down version of Lightroom’s desktop version with many tools and modules missing (like Split Toning, Merge HDR and Merge Panorama, for example). There is no longer an import process, which is good, but you cannot simply navigate through the folders of your hard drive and view all the images before bringing them to Lightroom like you can in Capture One or Photo RAW. 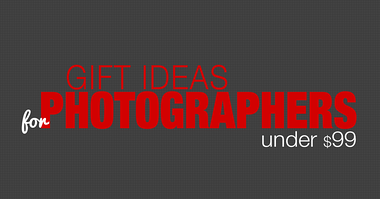 You still have to go through the ugly popup menu to add a folder or the single images to a Lightroom Album. There is no way to add an entire folder to Lightroom without first specifying a target album. Adobe, you solved this issue years ago in Premier by introducing the Media Browser that allows us to evaluate images and videos on a hard drive before importing them into a Project. It would make sense to have something similar in both versions of Lightroom CC and Lightroom Classic. When I watched an interview with Adobe Director of photography, I learned that Lightroom CC is not designed to work with Lightroom Classic and that users should pick one version and stick with it. This is when I realized that this application has no use to me in its current state. If you watch the interview below, you can learn more about Adobe’s interesting and ambitious plans for Lightroom CC. I plan to revisit it in the future to see if I can use it in my photography workflow, but it does currently meet any of my needs. Adobe renamed Lightroom CC to Lightroom Classic, but there appears to be more than just a name change. It is a new application. When you install the program, you have to update the catalog and convert it into a new format. The new Process Version (V4) was also introduced. According to Adobe, the priority for the latest version was performance improvement and it shows. The application is much faster, especially when switching between the Library and Develop modules. It is much quicker to go through photos while culling. 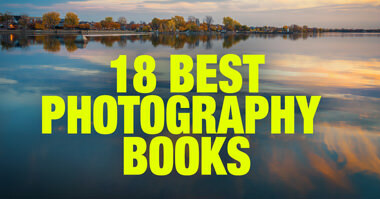 Although it is an improvement, it is not nearly as close to modern applications offered from MacPhun and Capture One. Another welcome feature that was introduced in Lightroom Classic is the Range Mask. I’ve been waiting for this feature for a very long time. Capture One has had a similar feature for years and even the new Photo RAW has it. The Range Mask allows us to use selective editing when using Graduated Filters, the Adjustment Brush, and the Radial Filter. For example, when editing landscapes, you want to make the sky darker but not the trees or the mountains. The Range Mask allows us to create sophisticated masks based on a Color Range or a Tone Range to only target certain areas, like the sky. With the latest update, Lightroom Classic became more usable and more functional. After Adobe’s new developments last week, I am not very optimistic about the future of Lightroom as a primary tool for professional photographers. The update tells me that Adobe built a new team around the concept of cloud-based editing with Lightroom CC addressing a consumer market of mobile shooters. This is the direction Adobe has chosen for the next decade. I do not think it is realistic to expect groundbreaking innovation from Lightroom Classic because the majority of resources will be allocated to the main priority—cloud-based editing. Based on my conversations with software developers, Lightroom was built on outdated and inferior technologies, meaning that there is no way to move forward without rebuilding from the ground up. Adobe can patch Lightroom here and there, but it won’t be able to complete with applications like Aurora HDR and Camera RAW in terms of performance, speed, and responsiveness. I do not believe that, with Adobe’s new direction toward cloud-based editing, the company will take on such a massive undertaking like rebuilding Lightroom. At this point, I can see two scenarios on how it may play out. Adobe realized that there is no way to move forward with Lightroom without rebuilding it, so they decided to rebuild in stages. First, they introduced a skeleton version of Lightroom CC, which is built using the latest technologies and is both fast and responsive. In a couple of years when Lightroom CC is on par with Lightroom Classic in terms of features, Adobe will retire the desktop version and move users to Lightroom CC. In Lightroom CC, we will have the option to use Cloud-Based Editing or Local Editing. We will also have a choice as to what photos to synchronize with the cloud. I am also hoping that we can use Lightroom like a backup manager for our RAW photos. In a year or two, Lightroom Classic will transform into a Digital Asset Management program for professional photographers and studios, and nothing else. The editing part of the workflow will be performed solely in Lightroom CC, which can satisfy both the mass market and professionals. Like I mentioned before, I am not very optimistic about Adobe’s new direction for photography but, at the same time, I am not too worried. Lightroom Classic is a mature application and, if Adobe continues to improve its speed and performance, I do not see myself looking for other alternatives. Although I have been critical about Adobe’s lack of innovation since they acquired their only real competitor—Macromedia, Lightroom is still the best tool around for my photography. As for people who are looking for alternatives, I have good news—there are a few! When Apple killed Aperture, the only real alternative we had was Capture One, but I was always hesitant to recommend it over Lightroom. Capture One is even more complicated than Lightroom, it lacks some important image organizational features, and it is too expensive for nonprofessionals. But, things started to change in 2017 when ON1 launched a new project called Photo RAW, which is one of Lightroom’s direct competitors. I’ve been using it since its beta version and, finally, after a year of updates and bug fixes, they are releasing the Camera RAW 2018 version, which I am currently using in its beta version. It is good, stable and fast. It also has some exciting and innovative features that are unique to Camera RAW. When MacPhun entered the PC market, they instantly became a major player in the photography niche. Just a few days ago, they announced the launch of a Digital Asset Manager in early 2018. The combination of a new Photo Manager, Luminar and Aurora HDR (which I will be reviewing soon), will be formidable competitors to the Lightroom and Photoshop duo. Here is the MacPhun reaction to Adobe announcement. I think that C1 has improved in the management of gallery and so on, although LR seems still better; for the remaining tasks (such as color correction, skin tones, sharpening and other features) I consider it superior to LR. I am considering to move to it because I am not happy of being dependent from Adobe’s cloud system. when I use Capture One, I miss Auto Stacking functionality of LR, HDR Merge, Panorama Merge, Map module. But I completely agree that Capture One has the most advanced Color Correction module. Plus, I never manged to find a totally neutral RAW profile in C1 like Adobe Standard. Why aren’t you including on1 Photo Raw as a viable and constantly improving alternative with an exceptional program for improving both the photography and post processing skills of their customers as part of the purchase? I think you missed it. At this point Photo RAW is the best alternative. Read second to the paragraph. Right you are. I stand corrected. Didn’t recognize it as Camera RAW. Thanks for pointing our my mistake. my mistake, thanks for letting me know. It should be Photo RAW. The photographer subscription to Adobe Lightroom CC is 9.99 per month and worth every penny. LR, PS, Bridge… All you really need…. LR Classic on my catalog is faster. Absolutely, LR Classic is much faster after the big update. Great analysis, totally agree. with the assessment of where Adobe is headed. They need to make a link from Classic to CC. Now I have to renew my ON1 Camera RAW to the 2018 version. Thanks for the info! The communication from Adobe is terrible for us amateurs and if weren’t for a pro in one of the groups I belong to I would be having many more sleepless nights wondering where all my pics, presets and collections had gone and what weird new product was there with only 300 images. 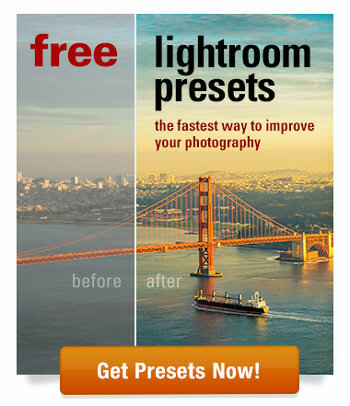 Why was this info was not sent out to all Lightroom users! Great post. Thanks for the info, very helpful. Looking forward to using the range mask feature. The problem I have with the demise of LR6 is that my access to a reasonable (not even good) internet connecection. At times, it is so poor that I don’t feel that I can rely on any of the cloud-based products, I want something held on my laptop along with my picture files so that I can spend time on my hobby and not on a waiting schedule. I was very interested in Luminar (and still am) but since I run on a Windows machine, I will have to wait for a few days until the Windows version is released. I downloaded the free trial but cannot get it to run; I assume this is because it’s the Mac version. The price looks good and the video tutorials are encouraging, too. Given my constraints, does anyone have suggestions? By the way, thanks for the great site, Viktor! I think you misunderstood the concept of Lightroom Classic. It is desktop version like Lightroom 6 but with the subscription model. You do not need constant internet to edit your photos.It needs internet connection only to validate your licence. Luminar is a good editor but it is not replacement for Lightroom. It is different animal. Hi Viktor, thanks for what seems to be a well balanced review of the way Adobe is going with Lightroom. I had a one year Adobe Photography Subs. in 2015, but cancelled when they bumped up the cost, as I’m a hobby Photographer and don’t spend more than a few hours on editing per month. I signed up again this year after finding a discount code, but 3 months in, they informed me of another increase coming up. Mid 2018, I’d have to pay about 40% more than I did in 2015. Each time they said it was due to Currency Fluctuations. To me, that is deception, if not fraudulent. The first increase was due to the Australian Dollar being devalued – fair enough. This time the Australian dollar is getting back up close to where it was before it devalued, so the cost should have gone back down, not up. If that’s not the real reason for the increase, then they should be honest and say what it really is. They’re certainly not providing any better options with their Plans. with 20GB Storage, I get to keep Ps & Lr, but that storage isn’t anywhere near enough even for a hobbyist, unless perhaps I could choose exactly which images go to the Cloud. With the 1TB Plan, yeh, I get plenty of Storage, but lose Ps, which I’m just now getting a bit of a hang on the basics. I might look at what Macphun for Windows has to offer before mid-2018. Right now, I’m considering Affinity Photo for when I switch & wondering if you or any reader has any thoughts on it? Though only having used it on 2-3 photos in the short time I’ve had it, I’m quite impressed with Affinity Photo for iPad Pro. As it’s quite different from Lr or other Editors & Plugins I’ve used, it’s a bit of a learning curve again.